Escape to your own backyard in Nordic’s 110V/220V convertible Escape™ MS. Designed with DTS™(Dual Therapy System) this family sized model seats 6 adults with barrier free seating, including the step-in/cool-down seat. 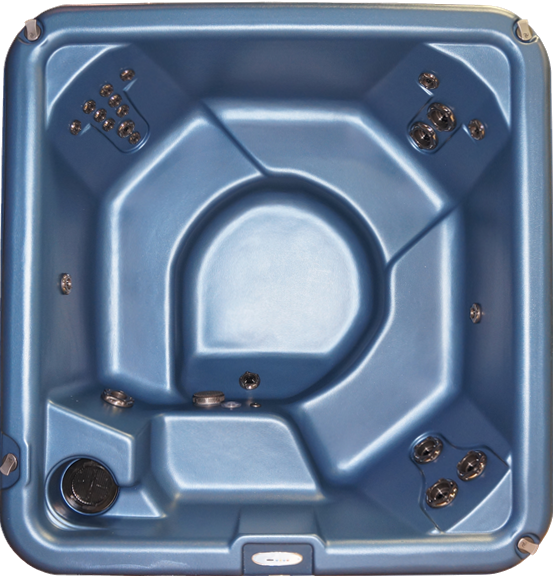 The Escape™ is simply designed to give you all the benefits of a round tub within a square footprint.Powerful jets provide invigorating hydrotherapy to tense areas of the body while Nordic’s exclusive DTS™ offers gentler, whole-body therapy. The combination of barrier-free seating andClick to Zoomhigh-flow turbo jets allows you to surround and massage your entire body, front and back.Unlike other spas that offer only targeted hydrotherapy, this gentler therapy has proven better at peeling away tensions and stress from the entire body by releasing lactic acid from all body zones and allowing oxygen to flood every tissue and fiber.Escape to your personal oasis in surprisingly affordable luxury in Nordic’s Escape™ MS!.